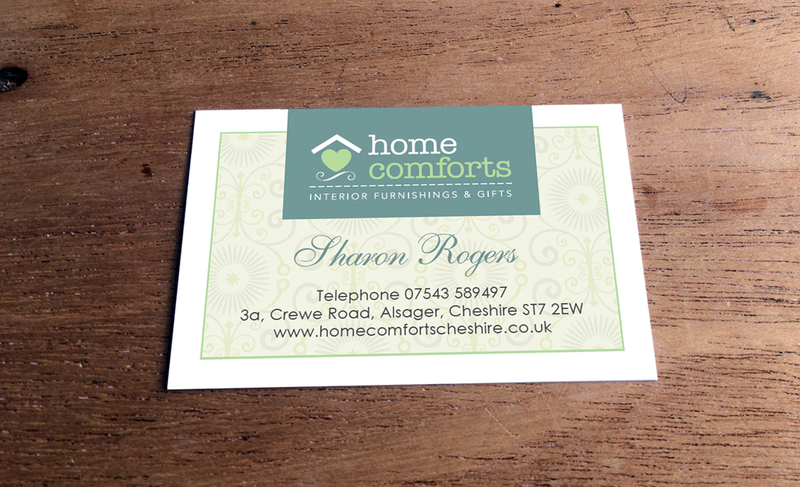 Home Comforts specialise in home accessories, bespoke furniture and gift wares. The client wanted a clean, simple and elegant style, whilst having a authentic feel. A simple pattern, use of font and colours all came together to create the perfect harmony. 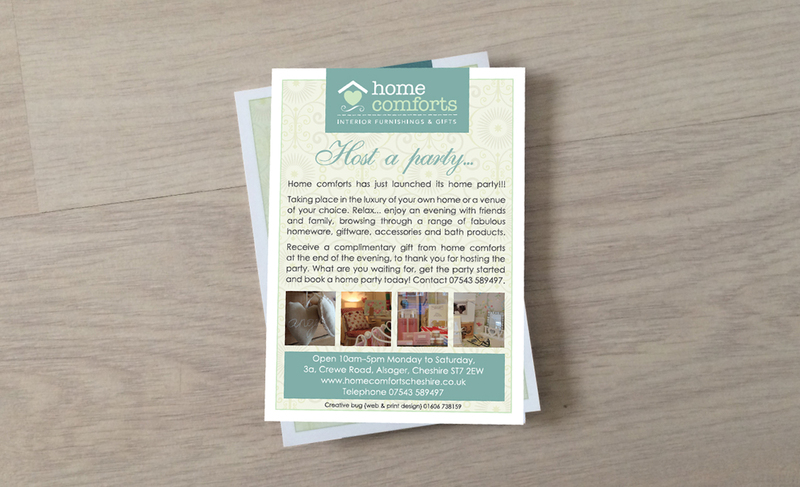 The single sided business card and A6 double-sided postcard were designed using Indesign and sent to print. The website was created using PhotoShop keeping the same feel as the business card and flyers, then hand coded. All photographs were taken and edited throughout, keeping the design simple, easy to navigate and linking through to their Ebay store.